All things Yen and mummy!!! : Getting ready for the sun with tie dye!!!! Today I went down Mare Street and popped into Primark. 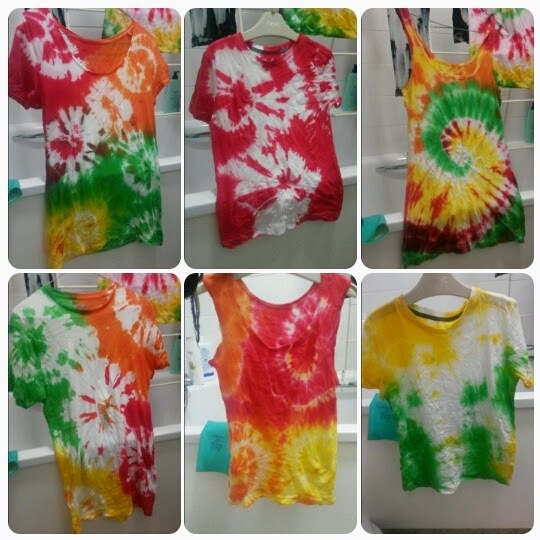 I was thinking before I get lazy let me do some tie dye, get our tops ready for some sun and festivals for me. 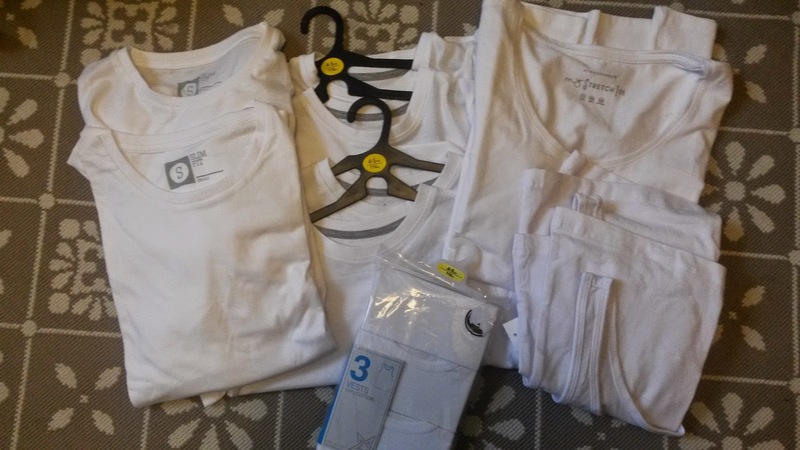 I think I went a bit OTT in the shop though I just kept picking up anything plain white. I ended up getting Yen four t-shirts and three vests, I got three t-shirts and two vest tops for myself. 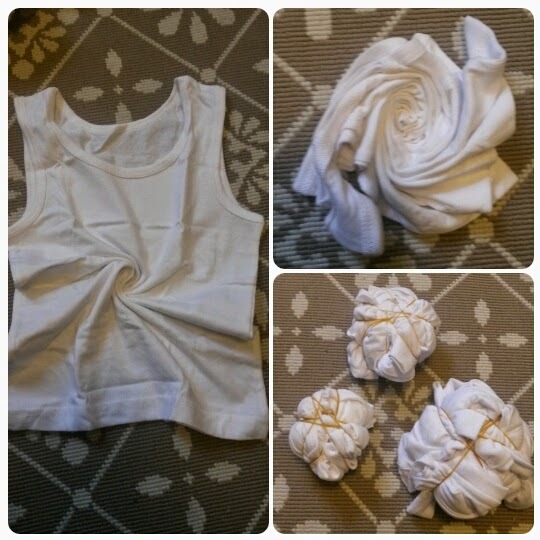 So to get things started first I pinched the middle of the vest then kept twisting it. 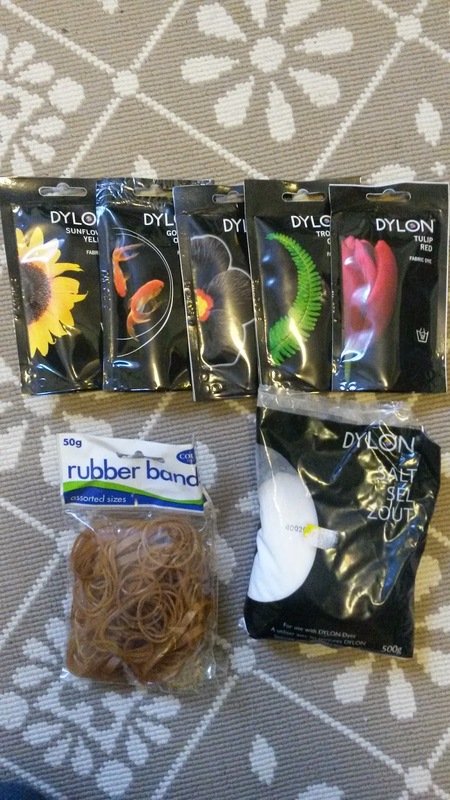 Once it's in a kind of circular shape start tying the elastic bands round making sure they are tight and secure. In each container I added five table spoons of Dylon salt you can use normal salt too it works well. Then added the Dylon dye with warm water. After that just get creative and get dipping. Making sure you leave the top soaked into the dye give a little squeeze then move on and add other colours. 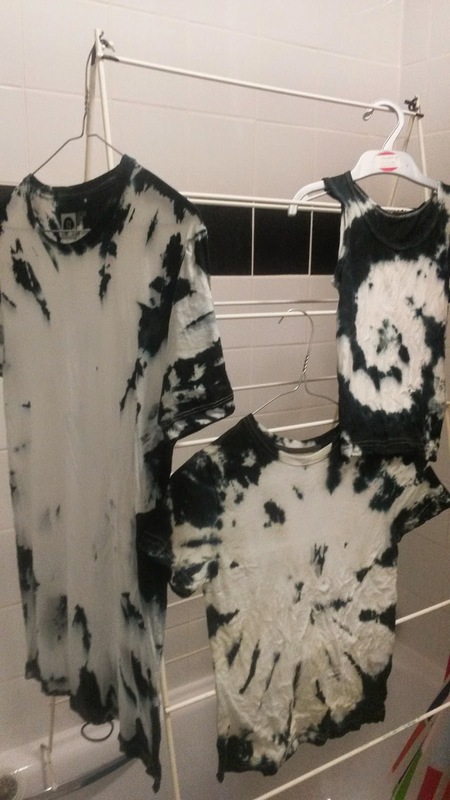 In the left pic I just used black dye just to see how that goes. The rest I mixed the colours which were orange, red, yellow and green. 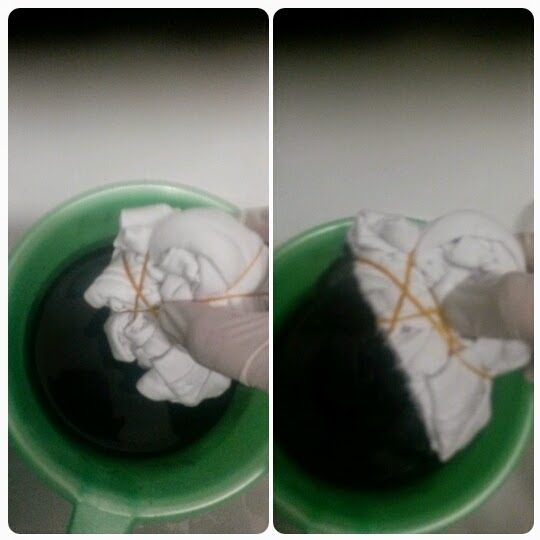 They say leave it for 6-8 hours before you rinse out the items in cold water till the water runs normal then stick it on a cold wash. 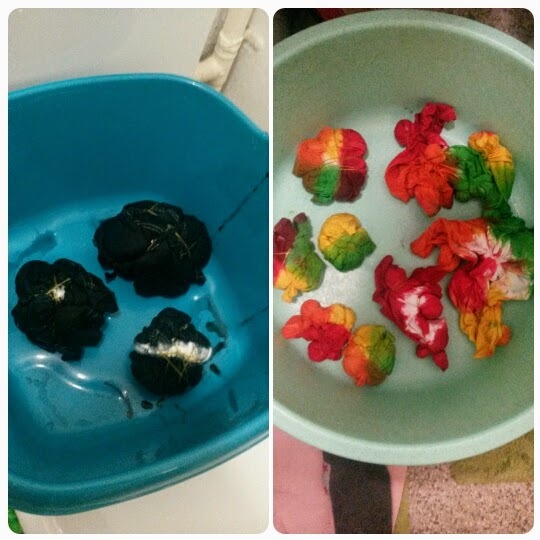 I personally don't do that I left it for two hours lol then rinsed it left to dry then stuck it on a cold wash.